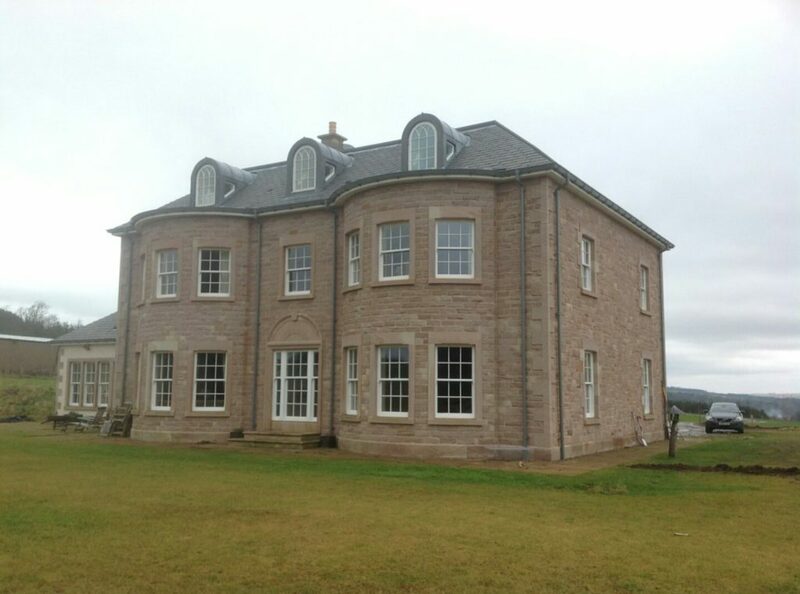 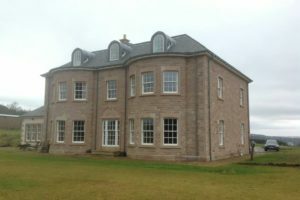 Hartshaugh Farmhouse is a modern working farmhouse on a family estate in the hills of the Scottish Borders. 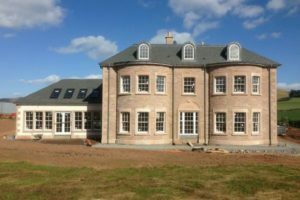 Designed in a simple classical style, the front facade is arranged symmetrically about a pair of double-height curved bay windows. 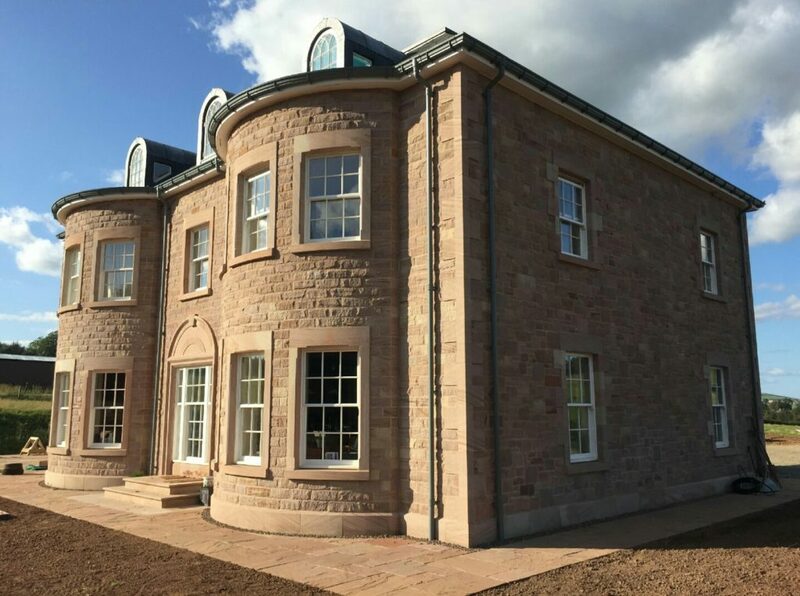 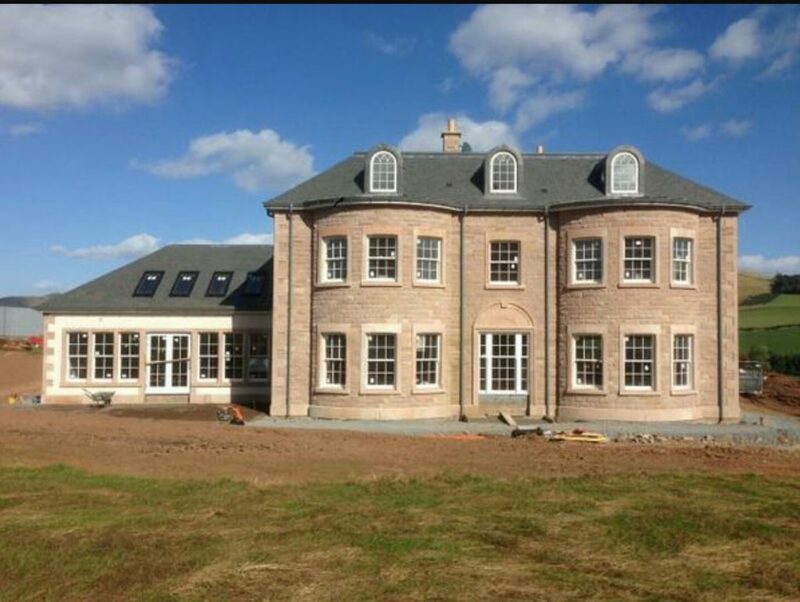 The house has full stone cladding with traditional detailing, and a slate roof with circular glazed lantern. 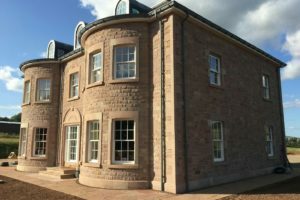 Dukes was recommended by Hutton Stone as it contained both the colour variation and texture that is common in this particular area of the borders.